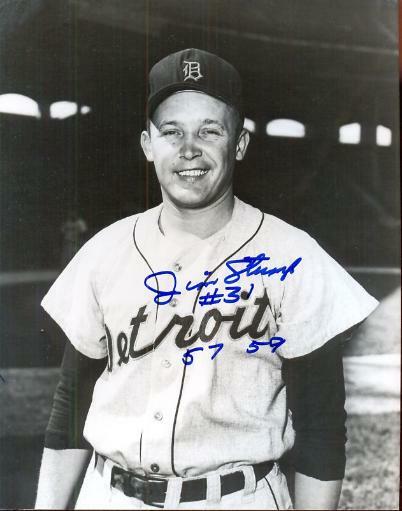 Stump signed with the Detroit Tigers in 1951 and his first two minor league seasons, sandwiched around a two-year military service during the Korean War, were noteworthy as he won 30 of 43 decisions. Jim made his Major League pitching debut with the Tigers on August 29, 1957 at Briggs Stadium against the Boston Red Sox, facing Ted Williams in his first appearance in the majors. He pitched for the Tigers in relief during the 1957 and 1959 seasons.